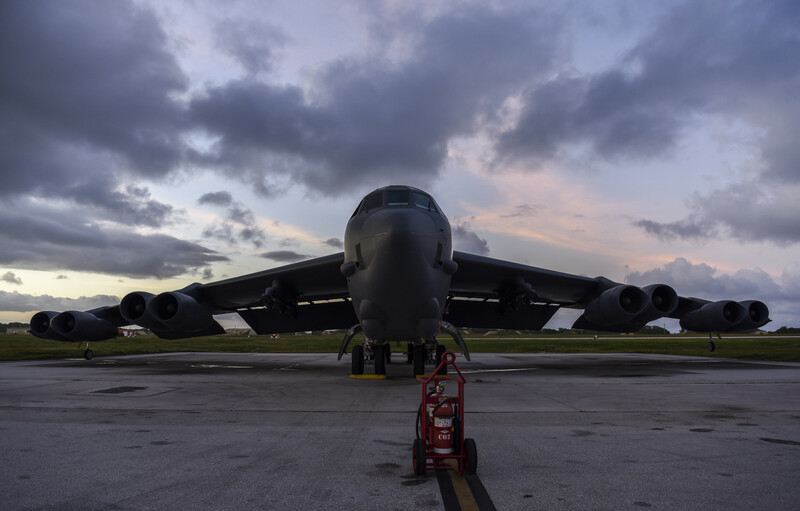 The U.S. Air Force has sent two B-52 bombers over the East China Sea for “routine training” near Okinawa Prefecture, the military has said, the latest mission in the waterway that is home to the Japanese-controlled Senkaku Islands. The exercise also came just ahead of high-level U.S.-China talks scheduled for Wednesday in Washington aimed at finding a solution to a trade war that has cast a growing shadow over the world’s top two economies. The U.S. and Japanese militaries regularly exercise in the East China Sea and Beijing, which also claims the Senkakus and calls them the Diaoyu, often dispatches government ships and aircraft to the area surrounding the tiny islets. U.S. Pacific Air Force spokeswoman Capt. 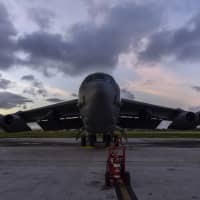 Victoria Hight said that the two B-52s had departed the U.S. territory of Guam for the mission Monday, and Aircraft Spots, a Twitter account tracking movements of military aircraft, showed that the exercise took the bombers over the East China Sea and Sea of Japan for the approximately 11-hour mission. In June, after two U.S. B-52s flew near Chinese-held islands in the waterway, China’s Foreign Ministry said no military ship or aircraft could scare China away from its resolve to protect its territory. Beijing has built up a series of military outposts in the South China Sea, which includes vital sea lanes through which about $3 trillion in global trade passes each year.